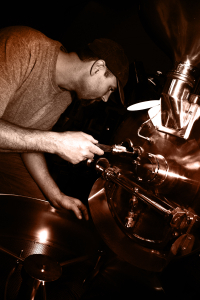 Sixteen years ago, in 1999, Kienna Coffee Roasters was founded by Dan Leach. 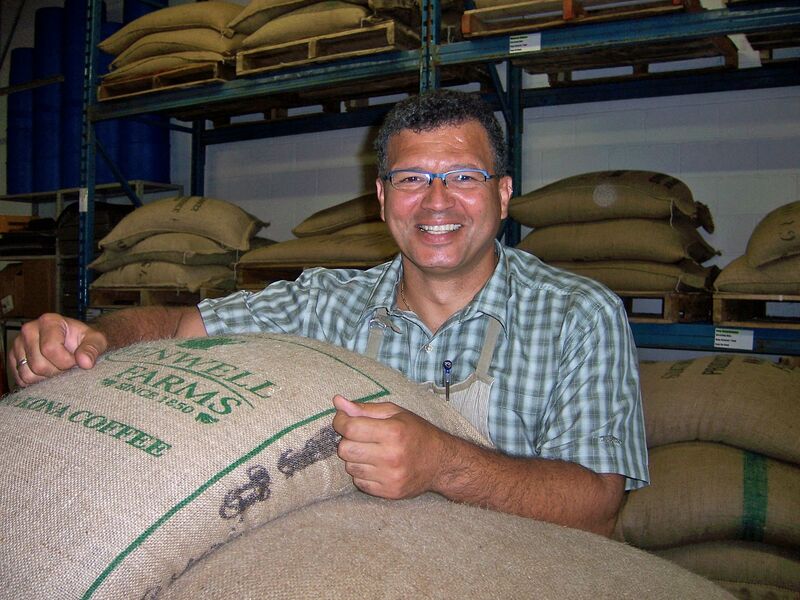 Originally, the Saskatchewan born entrepreneur did not intend of roasting his own beans, but after supplying coffee to offices and companies he decided it no longer made sense to buy when he could create his own roasts. And so, Dan purchased the equipment on his own and got started. Today, Kienna is a family run business with nearly twenty employees in total including Leona and Randy Leach, Dan’s two children and Robert Lehnert – a family friend and business partner who graciously toured us around Kienna’s brand new 40,000 sq ft bay in Calgary. At Kienna, we had the pleasure of meeting Dan, who although is now 70 years old, still manages to grind, roast and work away however he is needed. “People don’t really have roles, we all just kind of do what needs to get done,” says Rob. As a small family business, the Kienna staff take initiative to get the job done. This even includes Leona, now president of the roastery, spending time on the roasting machine when necessary. With their massive space and warehouse, you can imagine what Kienna is doing apart from agreeing to be featured as CoffeeCollective’s April roaster. Creating the specialty KiennaCUP for their coffee pods now allows their coffee fans to quickly enjoy a roast from most single brew machines, including Keurig. In addition, Kienna roasts and packages for various private labels, although they are polite enough not to mention any names. 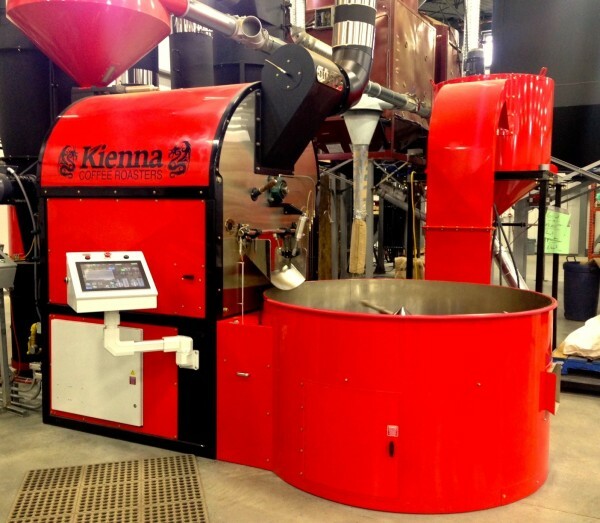 Surprisingly enough, Kienna only began whole bean sales eight months ago, and through out the years have focused on single cup grounds for massive distribution in restaurant and hotel chains across Canada. Now, they are taking a step back to the bean, allowing you and other bean lovers to enjoy the pleasure of the freshest coffee possible. As the coffee roasting industry is not the easiest to thrive in, what has made Kienna so successful over the years while other micro roasters are starting up and winding down just as quickly? Though Kienna does roast some delicious blends (over 200 recipes!) Rob also says that the company’s success does not allow for bragging rights and that staying humble has only assisted them in growth. Kienna does not have a cafe location, as they prefer to remain a coffee roaster at the heart of it all. However, you can find their roasts, including the featured Backpackers Brew and Kona Style, at various cafe locations including The Coffee Market in Calgary’s Kensington neighbourhood. We hope you enjoy your Kienna roasts this month. For more information, and more beans visit us at CoffeeCollective.ca. RAVE Coffee has reached nearly every quadrant of the world. The roastery started first when Rob and Vikki Hodge left the corporate world and moved to Australia from the United Kingdom. Days before heading down under, the couple decided that they would start a mobile coffee van, and from a whim, RAVE Coffee Australia was created. In 2011, the Hodges returned to the United Kingdom where they would continue roasting coffee under the RAVE name. The RAVE beans featured in CoffeeCollective’s February packages however, were not shipped from Europe. 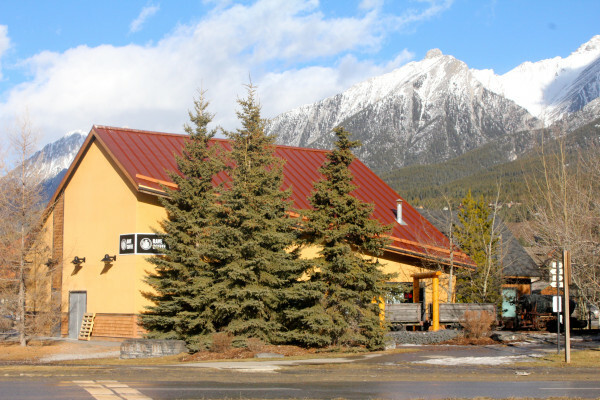 Instead, just last summer, Rob and Vicki’s nephew, Dean Smolicz, introduced RAVE to Canmore, Alberta. After a dinner conversation, a few years of planning and multiple trips to the UK, Dean saw how special and unique RAVE Coffee was. Even more, as an engineer, he was especially impressed with the detail and skill required to perfect and replicate roasts time and time again. It was then that his passion for specialty coffee set in. Today, RAVE is far from the Australian coast, however, the pride of Australian influence still remains. The roastery enjoys creating Antipodean styled coffee, which is based on Indonesian beans rather than Central and South American. February’s coffee features are both medium styled roasts, as RAVE does not necessarily create dark roasts. Dean says that RAVE extensively researches the coffees that they bring in from various brokers. This way, roasters can experiment with the high-grade beans and roast them into an appropriate individual profile. At times, creating a dark roast can remove the natural coffee characteristics and instead, the roast is all that you taste. Both RAVE Coffee U.K. and RAVE Canmore replicate the same styles of coffees. Striving to produce a better product day after day, Dean says he hopes the RAVE quality and passion are transparent in the cup. You can visit Dean and RAVE Coffee Canmore and even watch him roast! The relaxed café and roastery, surrounded by the Rocky Mountains, is separated by wall-to-wall glass so while sipping, you can watch him work! For more RAVE Coffee, you can order directly from their site, or visit CoffeeCollective.ca for the featured roasts! Over the last 30 years, one thing has remained for Cherry Hill – a genuine passion for quality coffee. 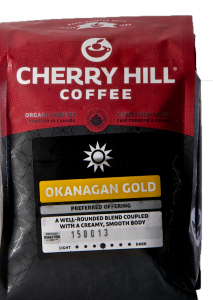 The Okanagan has been home to Cherry Hill Coffee since 1986, when a young Italian fellow, with a love for great coffee, moved to Kelowna and began the micro roastery. After seven years of roasting for local businesses, the roastery was taken over by Don and Francis Bigelow, a couple from Winnipeg with years of experience in the coffee industry. A few years later, Don and Francis retired, leaving the roastery to their two sons, Jeff and David. Since 2003 Jeff and David Bigelow have used a fresh outlook along with their extensive knowledge in coffee to boost Cherry Hill even further. According to Sales Director, Amber Jones, the pair have “taken Cherry Hill Coffee to new heights,” by extensively expanding their client base, while still remaining true to the same artisan hand roasted coffee that their parents instilled. Amber, who has been with the roastery for 13 years, says that by encouraging organic farming and roasting, “you are supporting socially and environmentally responsible coffee.” She stresses the importance of coffee lovers having consideration for the coffee farmers and workers in developing parts of the world, where the beans are typically sourced. “Organic farming encourages sustainability, multi-layered crop production and a rich array of wildlife. These measures guarantee the quality of the coffee and long-term viability of the farms, while reducing their environmental footprint,” Amber says. For CoffeeCollective’s first shipment of the New Year, we decided on two favourite roasts from Cherry Hill. The first, Okanagan Gold is a medium roast of beans sourced from Central and South America. 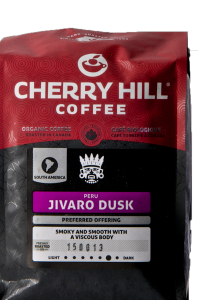 It is Cherry Hill’s most loved coffee and a perfect breakfast blend with its lighter body, fresh acidity and nutty finish. 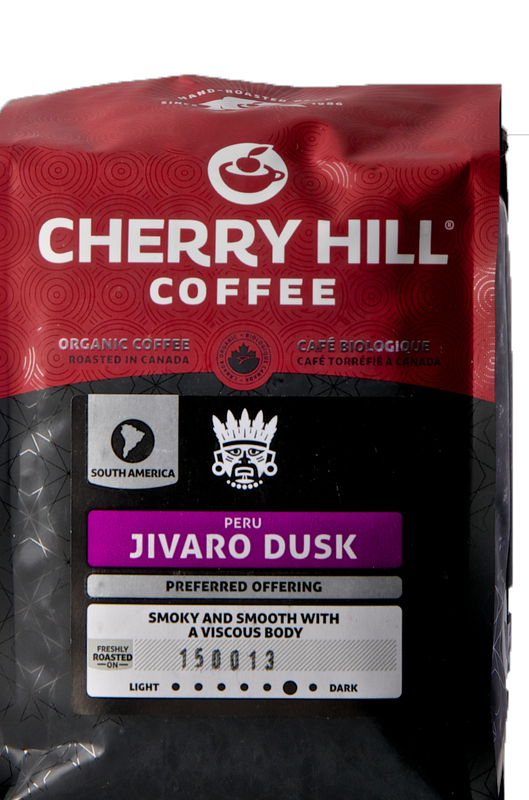 The Jivaro Dusk dark roast blend is sourced from several different crops in Peru, giving the coffee a very dynamic flavour profile. It is a rich and smoky roast with a viscous body and smooth finish. It is also Cherry Hill’s most ordered dark roast. Although enjoyed daily by those in the Okanagan, coffee lovers across Canada and the United States are free to taste quality Cherry Hill coffee. You can find all of their roasts online, as well as teas and brewing equipment! Amber suggests that you try an Ethiopian coffee such as the Tanga light roast. “I love this coffee because it is unique and adventurous. 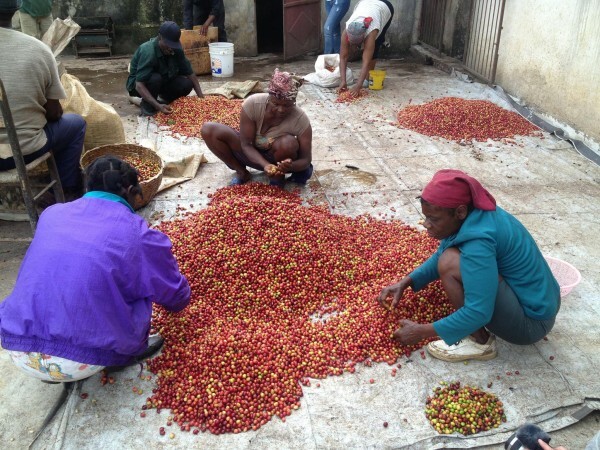 Ethiopian coffees are typically not washed and thus have a more wild flavor,” she says. 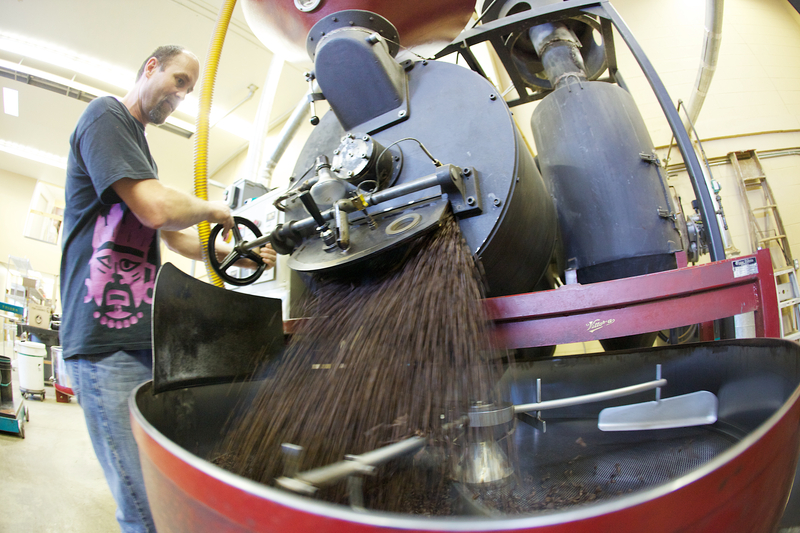 Next time you visit Kelowna be sure to pop by Cherry Hill for a specialty coffee, cupping and even a roastery tour. Though for now, visit CoffeeCollective or Cherry Hill to order! Support Cherry Hill and make a difference, once cup at a time! After travelling to New Mexico in 1994, Mary Jane Pfeifer brought home with her a beautiful green and brass, 25-pound coffee roaster. Reminiscent of an old fashioned locomotive and weighing over 1,300 lbs, the roaster was not an easy transport. It was however, the starting point of Mary Jane’s passion and career in coffee. 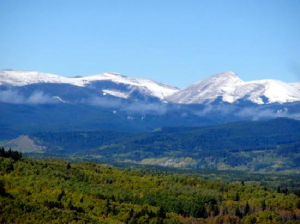 Crickle Creek is located in Priddis, Alberta, a quick 10 km West from Calgary’s city limits. 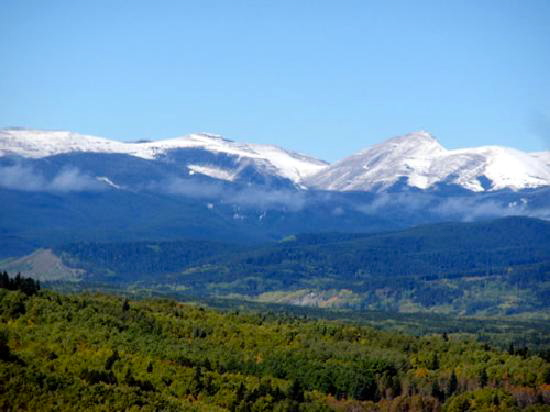 From the roastery room, specially built for the locomotive roaster, there are stunning views of the Rocky Mountains. Imagine looking out to a mountain sunrise while drinking your morning cup of Joe. 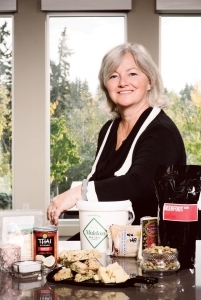 Nancy’s networking skills are an asset to this Albertan roastery, however, the roasting expertise and delicious beans, may also be part of Crickle Creek’s success! In order to provide a more international experience (as opposed to Calgary coffees) we featured the Colombia Amazonica and Sumatra Dark this month. The medium Colombia, one of Nancy’s favourites as she prefers medium roasts, holds sweet berry notes, while the Sumatra is nearly the opposite with its must and creamy character – what the Sumatra beans are best known for. Roasted in small quantities, it is quite the challenge to supply 600 customers with freshly roasted beans – never mind personally deliver them. Though outside the city, Crickle Creek delivers their local orders to Calgary and nearby towns on both Wednesday and Thursday. Each of the orders is roasted fresh the day before their delivery! This kind of service has given Crickle Creek not only the chance to expand, but hold onto customers for over a decade. Though “from humble beginnings,” and in the pursuit of a passion, Crickle Creek has spent the last 20 years creating a presence in Alberta coffee. We would love to hear your thoughts on the featured roasts! Do you, like others, believe their beans to be the best from yyc? This month we featured Cobble Hill, B.C.’s DrumRoaster. Although Cobble Hill is small, and its population not far from 2,000 people, the DrumRoaster name is spreading through Vancouver Island and now across Canada with CoffeeCollective. Carsen Oglend and his family have been in the specialty coffee industry since 1988. In order to further explore their love of coffee and the trade, DrumRoaster was opened in 2007, with Carsen as head barista. 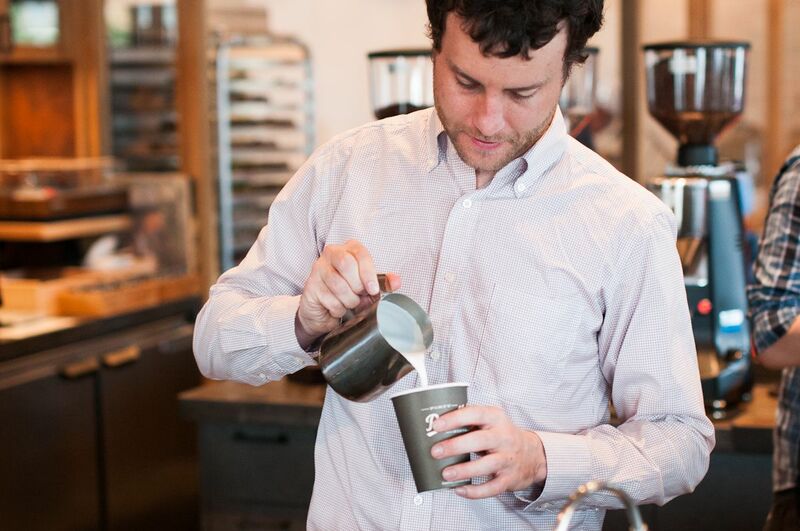 As the roastery and café have grown, Carsen now works as head roaster and purchaser. Being a family business, “accountability and trust” are two main foundations within the roastery. Carsen says that the DrumRoaster family “love[s] people that love coffee.” Well, that isn’t so hard to do after we got to try the two-featured November roasts! 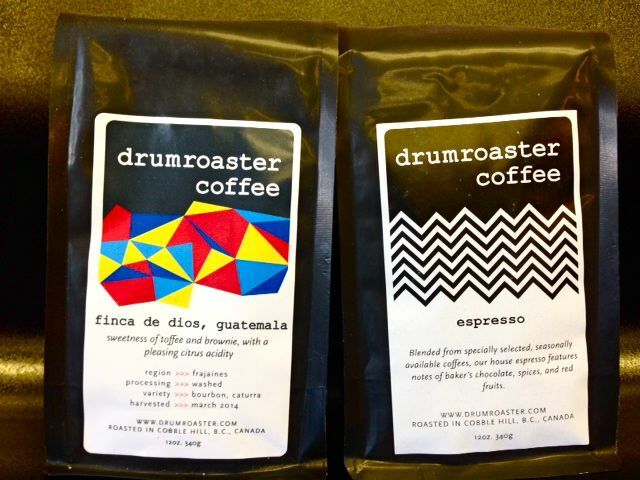 The Espresso Blend is DrumRoasters most popular roast. Beans come mostly from Guatemala and Brazil. This may change throughout the year however, as DR only roasts with beans that are in season. With vibrant aromas of baker’s chocolate, spices and red fruits, it is the perfect roast for a single rich espresso, or alongside milk for a creamy latte. Carsen admits that Guatemalan coffees are his favourite. “They’re so round, sweet, and balanced,” he says. 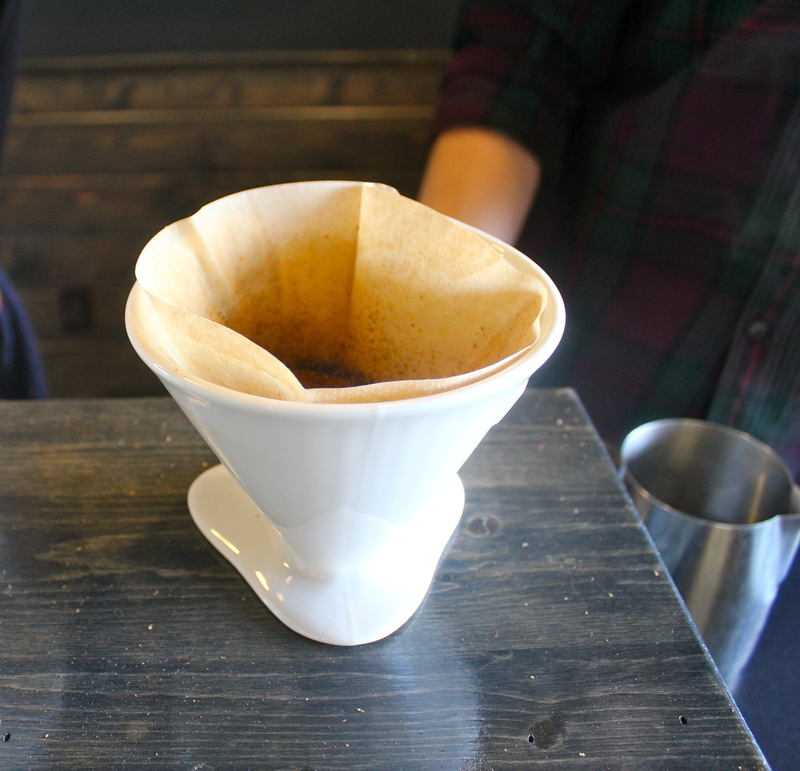 And so, with Carsen’s recommendation, we also featured the Guatemala Finca de Dios. Translating to ‘estate of the Gods’ this medium roast is sweet and aromatic with toffee and chocolate brownie. DrumRoaster believes in quality above all else. While organic coffees are great, Carsen says that they choose their beans with the confidence that the trees are farmed through sustainable practices. Parallel to the DR family, they look for farmers and pickers who are diligent and hold an additional level of care for their crops. When they are unable to visit the farms from which they purchase from, DrumRoaster uses importers who are completely transparent throughout the transaction. In order to test for quality and freshness, DrumRoaster samples each roast twice weekly to ensure its deliciousness. 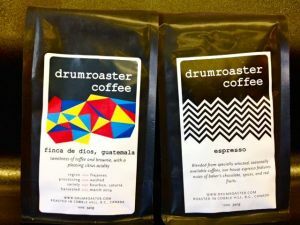 You can find DrumRoaster coffees through the CoffeeCollective store – open to members and non-members – or, by visiting their site! 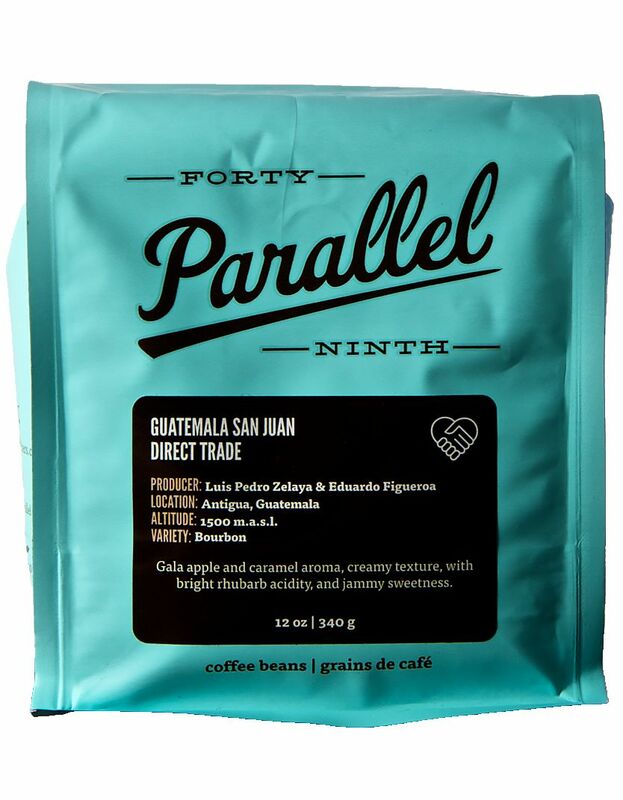 October’s CoffeeCollective roaster comes from, and is called, 49th Parallel. In 2004, Vince Piccolo decided he wanted to have more control of the coffee he was serving in cafes he was then working at. 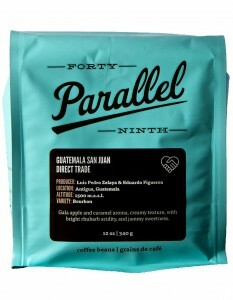 In order to have an eye on quality, he began 49th Parallel in Vancouver, and since then, has sky rocketed in success. In ten years, 49th Parallel has grown into two cafes and a full on roastery that supplies freshly sourced and roasted beans to cafes across Canada, United States and as far as South Korea. Each month, year round, 49th Parallel buyers travel around the world to find new growers and maintain relationships with existing partners. In doing so, 49th is involved in every process from growing beans to pouring cups of steaming brews. 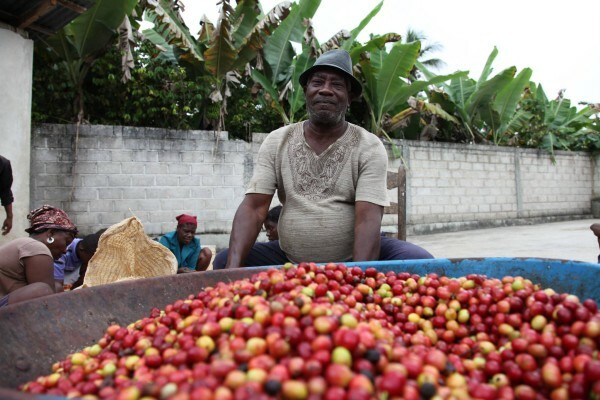 Even more, the personal interactions ensure that the farmers are compensated for their dedication to quality beans. In order to keep their roasts fresh, 49th’s roasts are sourced in conjunction with seasonality in coffee production. During summer months, roasts come from beans farmed in the northern hemisphere, from countries such as Honduras, Guatemala, El Salvador and Kenya. In the winter however, roasts are common from Rwanda, Peru and other countries in the southern hemisphere. 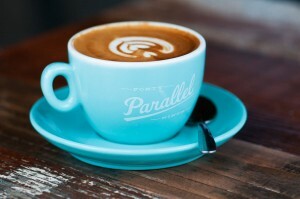 For those in Vancouver, you can visit 49th Parallel Roasters together with Lucky’s Doughnuts at two locations. 2198 West 4th or, 13th and Main. Otherwise, members (WineCollective too!) can find their roasts on the online store at CoffeeCollective.ca! 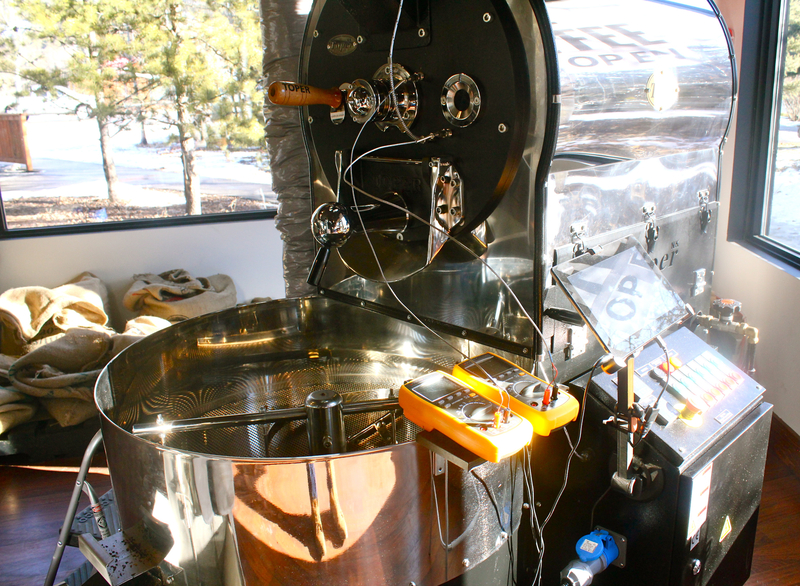 Sivetz is a unique roaster, which lifts coffee into hot air. As the beans roast and cascade, they resemble black pearls – an image that stuck with roaster, Trevis Boyd as he started his own roastery. Black Pearl Coffee began in 2000, after Trevis spent seven years on the west coast in Olympia Washington. According to him, the town is “coffee crazed,” and it is here where he learned the art of roasting beans. 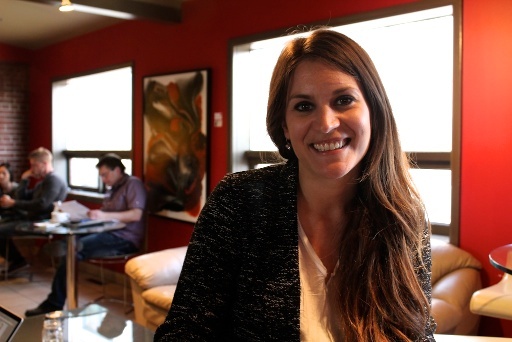 A personal love of coffee and “desire to own a business with an environment employees and clients enjoyed,” is what started Black Pearl once Trevis had moved back to Winnipeg. Today he works to show everyone that coffee, is not just coffee and in doing so has created 20 different roasts. As a personal challenge, Boyd is impartial to Indonesian coffees as they have the most unique flavours and aromas. 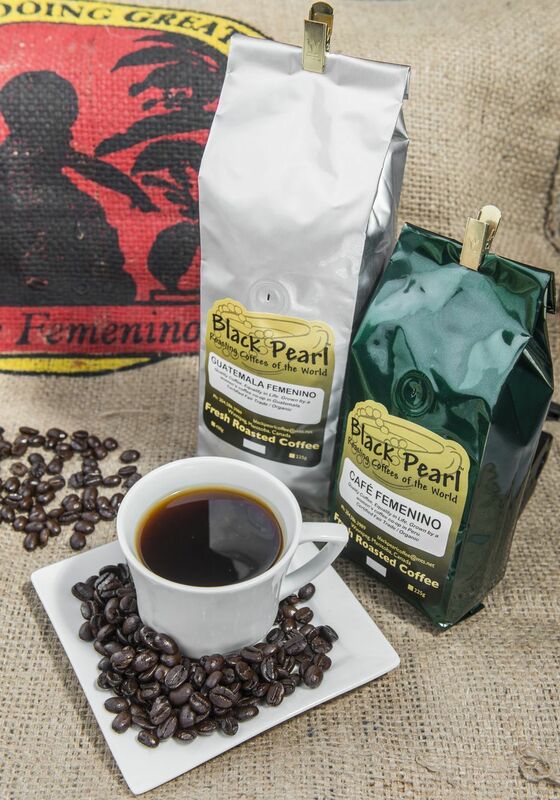 However, Black Pearl’s selection includes coffee from Central and South America, Africa, Thailand and Cuba. The Black Pearl roastery and retail café is one in the same. A standup tasting counter, complete with a brass rail, welcomes guests with samples of delicious brews. Drips, espresso and “espresso concoctions,” are all available. CoffeeCollective featured two roasts from Black Pearl in September packages. 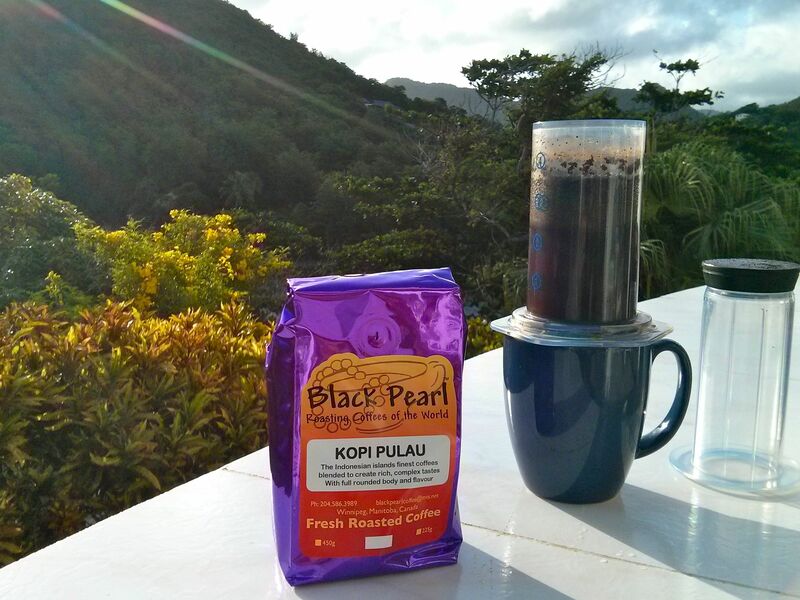 Kopi Pulau: An Indonesian medium roast, blended to create rich and complex tastes. Body and flavour are well rounded and balanced. Ikawa-Nini: Roasted from OCIA Certified Organic and Fair Trade beans, this dark roast is rich and heavy on the tongue. 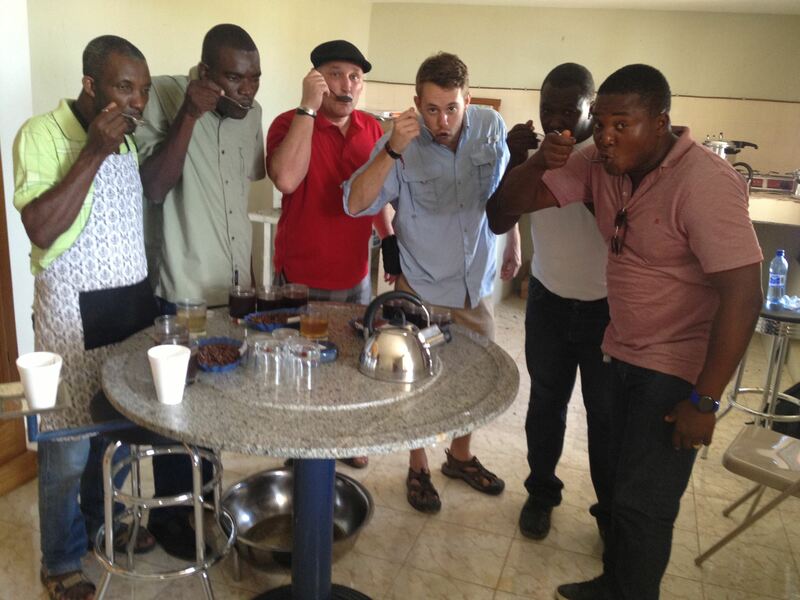 Black Pearl works with several brokers in order to source their coffee, including an organic only supply. BPC was also one of the very first Canadian roasters to join Café Femenino, an organization that distributes only women’s coffee. Femenino was created in 2004, after Peruvian women felt that they put more care into their beans than the men, and therefore, created a more superior product. 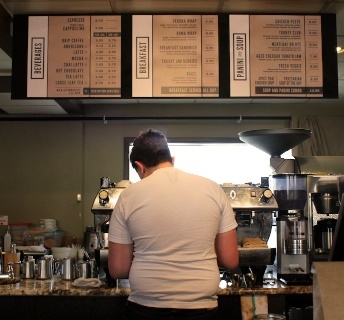 The roastery is also a large fundraising host for Winnipeg. With personalized pledge forms, BPC gives teams, schools and organizations the ability to sell a variety of coffees in full pound bags, and raise funds for their cause. Distributing coffee throughout the province of Manitoba has earned Black Pearl a large mail order following, and we are happy to hopefully offer them a few more fans through CoffeeCollective. To purchase your own roasts, visit the CoffeeCollective online store, or visit Black Pearl today! After five years of working for Midnight Sun Coffee Roasters, Katya McQueen purchased the roastery from owner and family friend, Zola Dore. With 17 years of MSCR under her belt, Zola was a coffee and business guru, passing on numerous lessons in “old school” roasting to Katya. Soon after taking over, Katya realized the difficulties of trying to run the business end of the roastery, all while roasting the beans on her own. Eventually Katya’s entire family jumped on the coffee roasting bus and today, the roastery is completely family-run. Katya’s brother, Micah, a former baker with natural foodie skills, became head roaster while sister Casey took on bookkeeping duties and roasting assistant. Steve, Katya’s husband, is known as the repairman and carpenter: “If we break it, he fixes it,” she said. 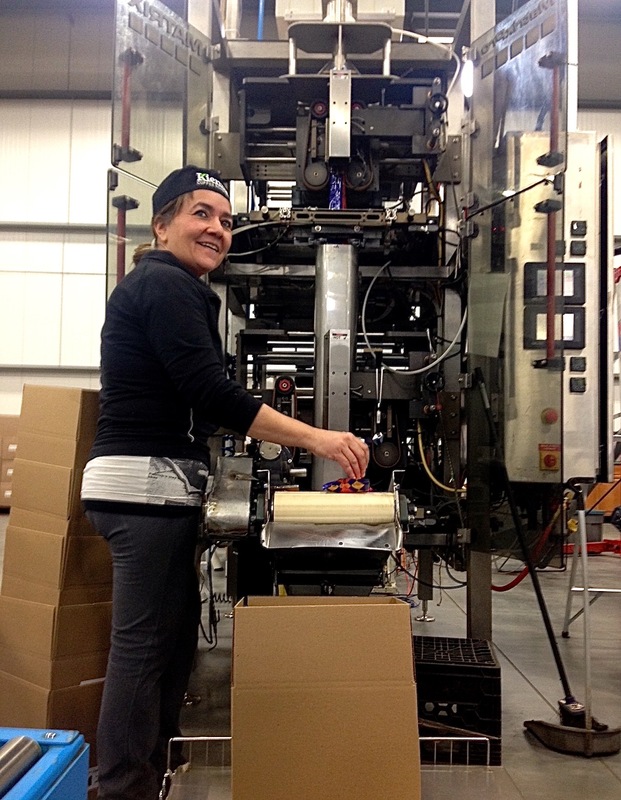 Even more, mother Maarit is the in house baker and assists with packages and everyday to-do lists. While Katya admits that having a family run business does propose challenges, she does see how each member has been able to create their own niche within the company. Family business ventures are also nothing new to MSCR as generations before over the past 30 years worked as puppet makers. “I think it helped define us kids, and has helped to create a great working atmosphere for us as adults,” she says. 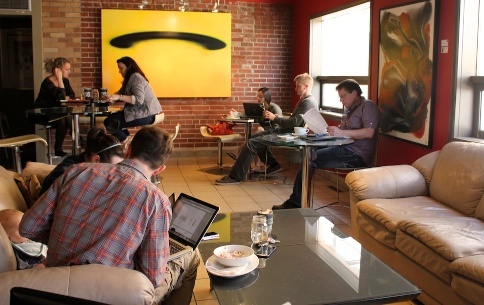 Another challenge our August CoffeeCollective feature faces is their remote location. Situated in the far north city of Whitehorse, shipping and receiving is not necessarily easy. Organization and planning is key to running this micro-roaster who maintains wholesale customers through out the Yukon and has previously showcased their roasts in Australia, New Zealand and Russia. While they only roast small batches five times a week, MSCR has created over 40 roasts over the last few years. Beans are sourced through Royal Coffee and come from both organic and non-organic farms around the world. In part of working with their community, Midnight Sun shares a warehouse with local bike shop, Icycle Sport. While space is limited for the roastery and café area, Katya says a marriage exists between cyclists and coffee that works perfectly in the city of Whitehorse. 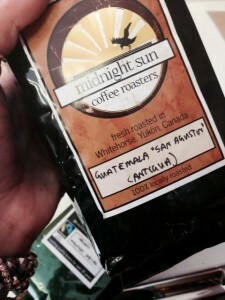 Regardless of all of the daily challenges, MSCR manages to create beautifully roasted coffees. While small, Katya and her family learned to roast “without computers!” always leaving eyes, ears and natural intuition to do the work. Tucked away in the furthest northern corner of British Columbia is the town of Atlin, which sits on the border between the Yukon and Alaska. While absolutely stunning, only around 400 inhabitants get to witness the beauty of the largest glacial freshwater lake and freshwater island in the world, Theresa Island. 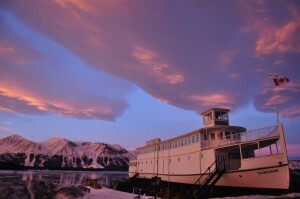 You may remember the name Atlin from “The Atlin Gold Rush” that took place in 1898. At this time, miners and settlers flocked to the town for its riches and the population once reached 20,000. However, after two fires that burned the town down and as gold does not grow, Atlin once again became a quaint and precious place to few. Today, Atlin relies on its tourist attractions including fishing and biking and hiking trails left over from the miners, as well as amazing coffee, such as last month’s CoffeeCollective feature, Atlin Mountain Coffee Roasters. 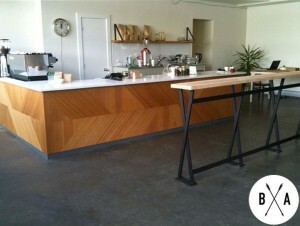 The roastery began only a few short years ago by adventure seekers, Philippe and Leandra Brient. The couple had spent their lives working numerous jobs including running a hotel, dogsled tours, and even winemakers in the Okanagan. Today, in addition to roasting coffee, both Leandra and Philippe are also volunteer firefighters, members of Atlin’s Search and Rescue Society and RCMP detention guards in Atlin. Prior to their extremely busy lifestyle, Leandra and Philippe grew up in the Netherlands and France respectively. Being constantly surrounded by the sound of espresso machines and grinders gave them the appreciation for coffee that they would use later on in life with their roasting house and café. Leandra says her experience in Holland gave her respect and appreciation for Indonesian and Sumatran coffee, as well as her and Philippe’s worldwide travel. In the end, their love for coffee, and Leandra’s educational background in hospitality, provided a means to roast coffee on their own. 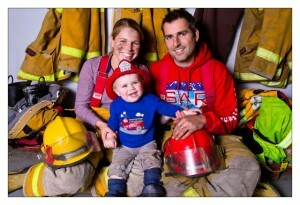 A decision that came to them quite suddenly over a cup of coffee one morning, and in consciousness of wanting to raise their son, Justin, full time in a warming and family friendly environment. Atlin Mountain Coffee has now mastered numerous roasts including light roast and customer favourite Ruffner Bean and the Brient’s personal favourite, Ranger Strong – named for a 800km trip with the Canadian Rangers. 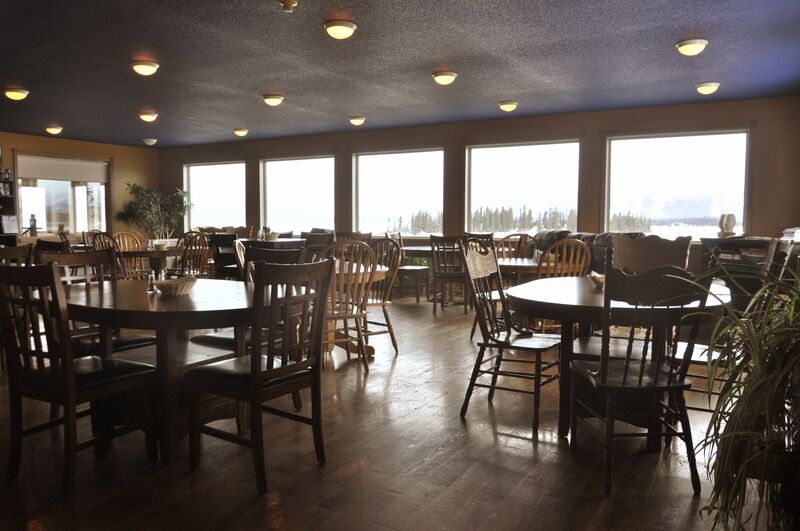 In addition, the pair also opened up Lilly Café in December 2013, which was named after Leandra’s nickname “Lili.” The café serves as an espresso bar with food and drinks for the people of Atlin and a popular hangout for the moms and kids of the town. 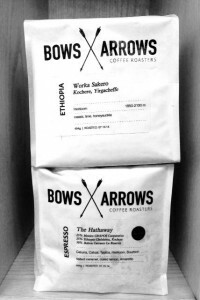 For June’s packages, CoffeeCollective featured the Black Gold dark roast from Ethiopia and Nicaragua Tarahne Express. Both of which are complex with layers of sweet flavours of chocolate and caramel. Should you ever get the chance to visit beautiful Atlin, potentially for their annual arts and Music Festival, take a trip down to Lilly Café where you can find Leandra and Philippe with a cup of coffee – and likely, some amazing stories to tell. The majority of our CoffeeCollective features first started as roasteries, who we able to open doors to their own coffee houses, years after roasting their first bag of beans. 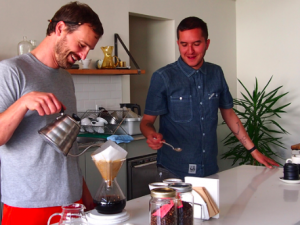 However, Rosso Coffee Roasters’ story starts in the opposite. In 2007, Caffe Rosso opened their first coffee house location in Ramsay, Calgary, one of the cities oldest communities, using Illy and George Howell Coffee. After several years of gaining popularity and adding a second downtown location in 2009 on Stephen Avenue (a trendy hotspot for dining and drinks), owner David Crosby and his new partner and brother, Cole, decided to explore the idea of roasting their own beans and blends. In 2010, under the Ramsay location’s roof, Rosso began to roast and test their own blends, which would give the cafe greater control over flavour profiles and the ability to expand their brand and coffee across the city. I was able to visit the original Caffe Rosso and sit with sales and operations manager Jessie Attrell, who has been with Rosso over the last two years. Prior to, Jessie says she was unofficially a member of the team after her landlord told her about the cozy café across the street, nearly seven years ago. Jessie says Caffe Rosso has seen extremely positive growth with their third location opened in 2012 in Victoria Park. Incredibly, Caffe Rosso’s growth is entirely in thanks to their customers and word of mouth, as they have not done any official advertising. Even as Rosso evolved from café to roaster, the fans have always stayed true and committed. “Our customers really support us and really supported the direction we wanted to go in and the transition. 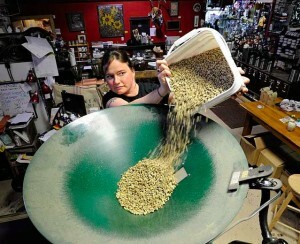 We’ve had more compliments on our coffee since we started roasting than ever before,” Jessie says. Before using their own roasts in the cafes, David and the Rosso team sampled and tested for almost a year. Today, they invite customers to help them pick out amazing blends with weekly in-house tastings, Wednesday afternoons. Jessie says “Rosso searches for sweetness, balance and overall complexity in the cup,” with their blends by sourcing beans from around the world. The cafes typically hold three to four coffees at any given time and always have “one comfort and one adventurous coffee,” so that there is always a blend that appeals to everyone. 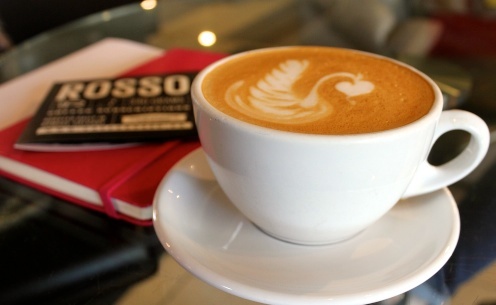 Apart from amazing coffee, Caffe Rosso aims to maintain a natural, family environment. With rustic furniture and a feel-good atmosphere, it is no wonder that Caffe Rosso acts as a destination location. Jessie says many customers who typically enjoy the downtown locations throughout the week, still make weekend visits to the original location to take in the scent of freshly roasted beans and familiarity. She also says the majority of customers that come in, were first brought by a friend or loved one, showing the welcoming comfort of the Rosso community and cafés. This month, CoffeeCollective is featuring two delicious roasts from Rosso Coffee Roasters. Overlooking the colonial city of Antigua in Guatemala, El Inteligente is a very old coffee estate growing Bourbon and Typica beans. For this roast, notice tastes of ripe plum and almond – notes that are not a common blend of flavours but balanced together, are thought provoking and delicious. The Two Wheel Espresso is washed in long channels and after soaking, the beans are laid out to dry on raised beds, facilitating airflow. Grown on elevations of 2,000 meters, this coffee portrays tasting notes of caramel, sugar and layered chocolate. Caffe Rosso chose it for its extremely unique richness and flavour and CoffeeCollective chose it because we don’t remember ever trying Rwandan coffee. However, I was lucky enough to have the baristas as Caffe Rosso treat me to a latte using the coffee and it was delicious! Following the tradition of opening a new location every two years, Jessie says Rosso is checking out the market for yet another café but has yet to find a spot. The roastery also hopes to start sourcing their own beans by year’s end, because as of now, they use a cooperative green buyer to source quality beans under fair trade methods. For a delicious, approachable and thought provoking cup of coffee, check out a Caffe Rosso location and don’t forget to rate and comment on their roasts on the CoffeeCollective site. We’d love to hear how you enjoyed it!